"Mix and match to your heart's content. 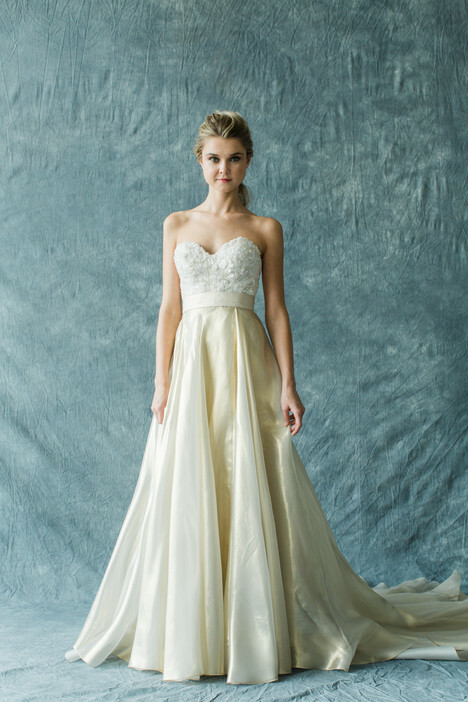 Strapless, straps, tank, lace, chiffon, silk faille, long, short, white, ivory, and colors...the list goes on and on. With Synthesis, you can choose the features you like best. 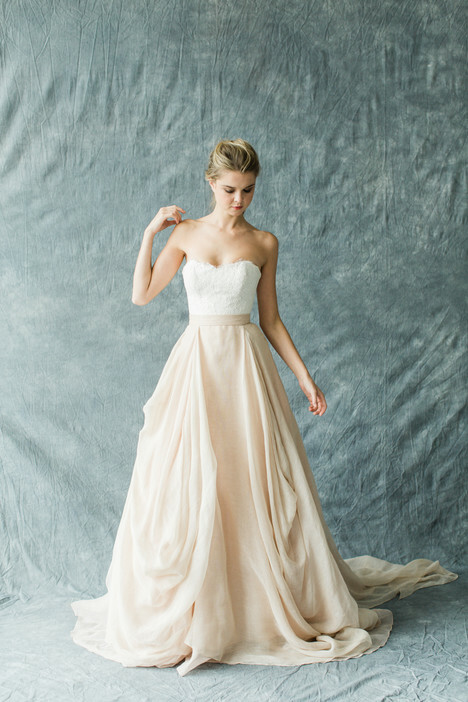 We wanted to make it easy as pie for you to customize your wedding gowns wherever you are! Wear them as two pieces, so you can change the look up throughout your day, or have the bodice and skirt sewn together as a single gown. You are sure to love them either way!"